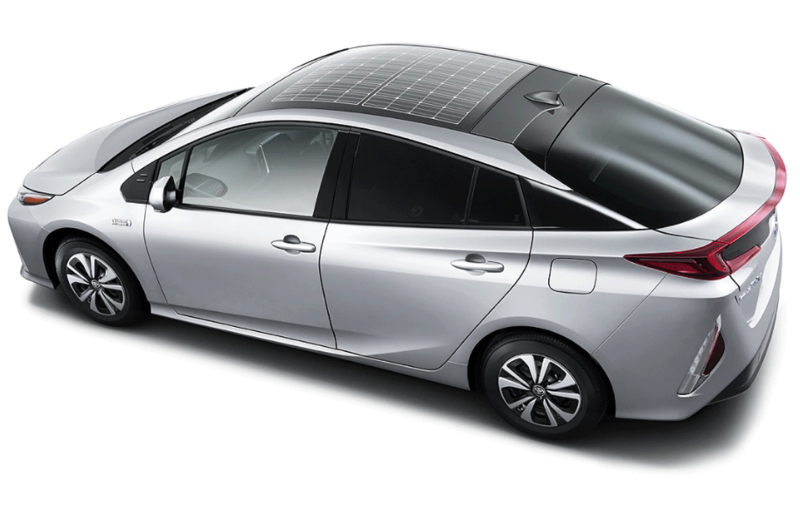 Panasonic Corporation today announced that it has recently developed the “HITTM Photovoltaic Module for Automobile”, which was adopted for the new Prius PHV released in February 2017 by Toyota Motor Corporation (hereafter Toyota Motor). In addition, Panasonic’s automotive prismatic lithium-ion batteries were adopted for the drive batteries, as with the Prius PHV that was released in 2012. Panasonic Corporation has worked on the development of new applications of solar cells through the effective use of high performance and high reliability technologies and know-how that have been accumulated through the development, manufacture, and sales of photovoltaic modules for residential, public and industrial use. Panasonic's solar cells have a unique structure that combines a crystalline silicon substrate and an amorphous silicon film, and feature high conversion efficiency and excellent temperature characteristics. Conventional automotive solar cells can output up to several tens of watts and have been used only for the auxiliary charging of 12 V batteries and ventilation power sources for parked cars; however, the use of the features of Panasonic’s solar cells allow a high output (approx.180 W) in a limited area on a car's roof, enabling the charging of the drive lithium-ion batteries as well as 12 V batteries, resulting in a possible extension of an EV's travel distance and increased in fuel economy. Furthermore, Panasonic has developed technologies to laminate three-dimensional curved glass to match the new Prius PHV's elegant body design, achieving the installation of modules on the roof without impairing the advanced design. This will eventually contribute to the improvement of the vehicle's environmental performance. Panasonic will make efforts to expand the use of the “HITTM Photovoltaic Module for Automobile” and contribute to the achievement of an environmentally friendly society in the automotive as well as the housing and industrial fields.